Tá ealaíontóirí ar fud na cruinne á bprapáil féin do ‘Dhúch Fómhair’, nó ‘Inktober’, a bheidh ag tosú an tseachtain seo chugainn. Dúshlán idirlín atá i gceist le Inktober ina ndéanann ealaíontóirí iarracht pictiúr dúigh a chrochadh ar na meáin shóisialta gach uile lá ar feadh na míosa Deireadh Fómhair. 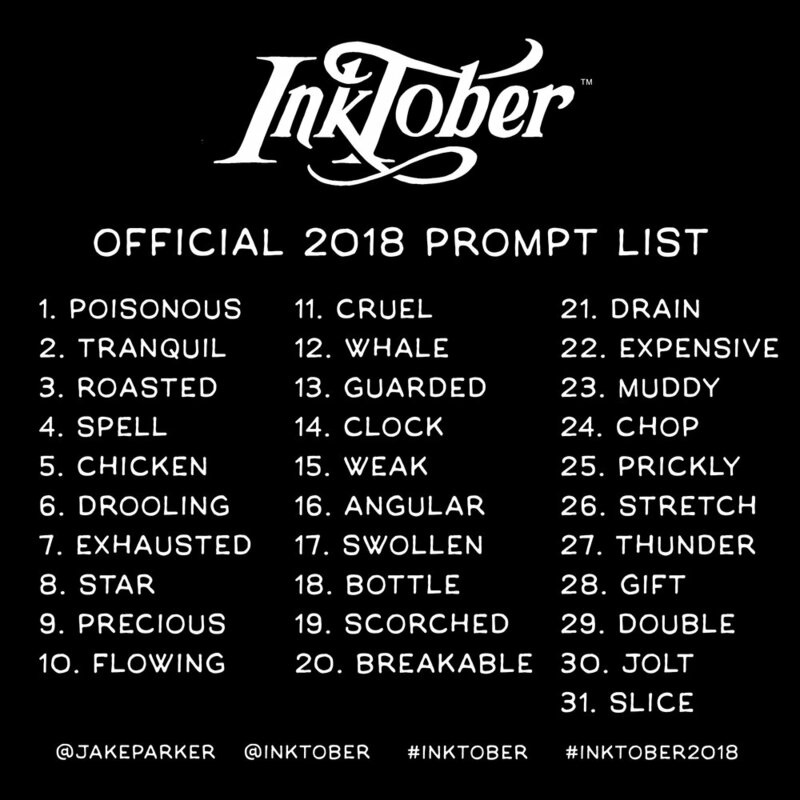 Chuir Jake Parker tús le Inktober den chéad uair beagnach deich mbliana ó shin, le barr feabhais a chur ar a scileanna dúigh féin agus le “dea-nósanna líníochta a chothú” dó féin. Ó shin i leith, tá fás as cuimse tagtha ar an nós agus na mílte ealaíontóir ar fud an domhain ag glacadh páirte ann. Tá go leor eolais ar fáil ar shuíomh oifigiúil Inktober ach go bunúsach níl le déanamh ach pictiúr a tharraingt gach lá le linn mhí Dheireadh Fómhair agus é a chrochadh ar na meáin shóisialta — is iondúil go n-úsáidtear Twitter nó Instagram — faoi na haischlibeanna #Inktober nó #Inktober2018. Ar ndóigh beidh muid ag coinneáil súil ar #DúchFómhair le healaín na nGael a fheiceáil freisin! Nuair a cuireadh tús le Inktober in 2009, díríodh ar an líníocht thraidisiúnta, ach glactar le stíleanna agus modhanna éagsúla anois agus tá roinnt mhaith ealaíontóirí ann a chruthaíonn a gcuid ealaíne go digiteach. Chomh maith leis sin, táthar ann a thapaíonn an deis a scileanna peannaireachta a léiriú agus callagrafaíocht a dhéanamh in áit líníocht. Foilsítear liosta leideanna ar shuíomh oifigiúil Inktober ag tús mhí Mheán Fómhair. Ní gá go leanfadh ealaíontóirí an liosta sin ach foilsítear é le spreagadh a thabhairt dóibh agus an ealaín á cruthú acu. 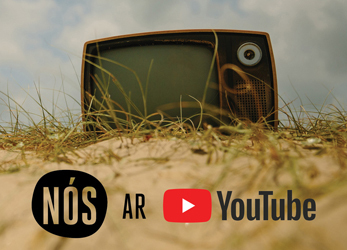 Seo thíos na leideanna don mhí seo chugainn. 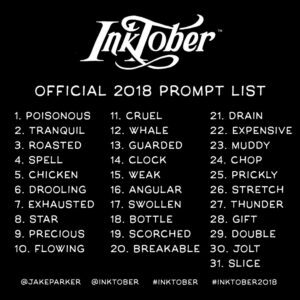 Ní gá go mbeifeá i d’ealaíontóir gairmiúil, nó fiú i d’ealaíontóir maith, le páirt a ghlacadh in Inktober agus beidh na mílte duine a bhíonn ag líníocht mar chaitheamh aimsire ag glacadh páirte ann i mbliana. Is í an sprioc atá ag lucht a eagraithe ná daoine a spreagadh ealaín a chruthú go rialta agus a roinnt le pobal ealaíontóirí. Tá ranganna físe, leideanna agus ábhar eile ar fáil ar shuíomh oifigiúil Inktober chomh maith le heolas faoi dhúshlán na bliana seo agus nascanna chuig suíomh ar ar féidir trealamh líníochta agus ábhar poiblíochta Inktober a cheannacht. Beidh muid ag súil le go leor ealaíne ó na Gaeil sna seachtainí amach romhainn!